Here is a fine debut by a young artist whose approach to performance and composition is steeped in the hard-bop tradition but not cowed or subdued by it; an artistic voice connecting the solid precedents of previous generations with the search for a new order of expressiveness and invention. Consequently, being built on sound foundations, there is nothing gimmicky or unsettling about the music which delivers, through the medium of nine self-penned originals, a programme in which both vets and newbies will find much to their satisfaction and delight. 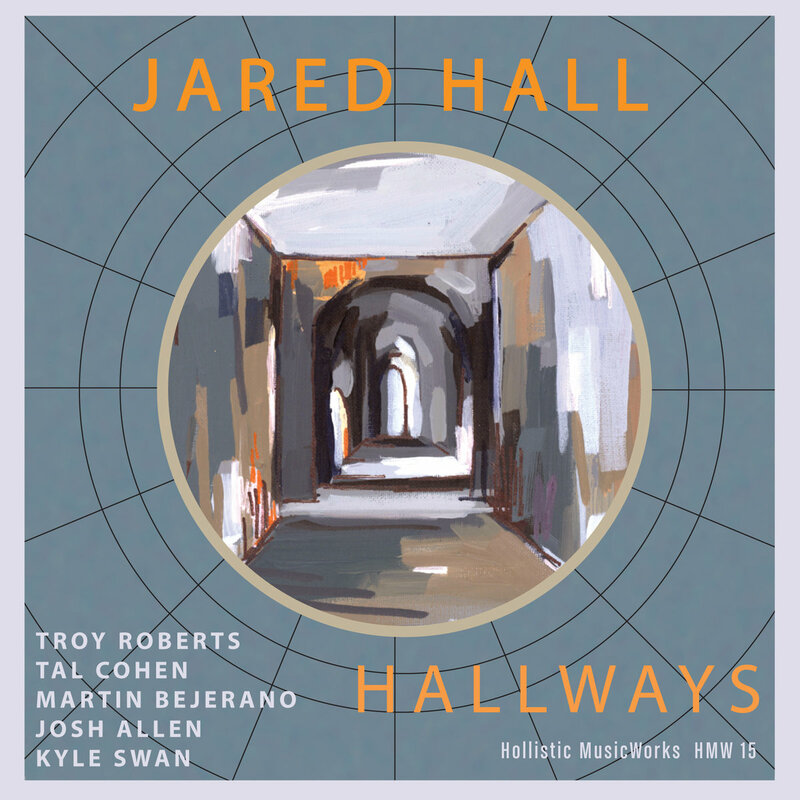 Hall, who hails from Washington State, has in the course of an impressive academic career, been mentored by Terence Blanchard and Brian Lynch – both ex- Messengers in their early days – and his approach to playing shows something of their combined influence: on the one hand a penetrating clarity and on the other a burnished warmth of tone rather like the `finish` of a fine wine. Combine these features with a lyrical articulation, minimal vibrato and the complete absence of extravagant effects and you have an instrumental sound of considerable elegance which is capable of expressing emotional depth and scintillating swing as the setting demands. He is matched in musicianship by tenor man Troy Roberts, another emerging talent of distinction, whose full bodied sound comes out of the lineage established by Coleman Hawkins and whose muscular deliberations serve as a perfect foil to Hall’s svelte fluency. The piano stool is shared between two quite different stylists; Bejerano pungent and percussive, Cohen, fleeting and boppish whilst the whole enterprise is driven and decorated by the combined virtuosity of Allen and Swan whose walk through solo contributions and breaks maintain the momentum and heighten the tension. Regarding the pieces themselves, there are several which offer themes of intriguing post -bop abstraction underpinned by pedal motifs and two out and out swingers of which engaging optimism of `Tones for Jones` represents the standout track of the set. In short this is jazz for all seasons and reasons which will have immediate appeal for fans who like to keep abreast of what’s `happening` but without departing too far from their comfort zone.